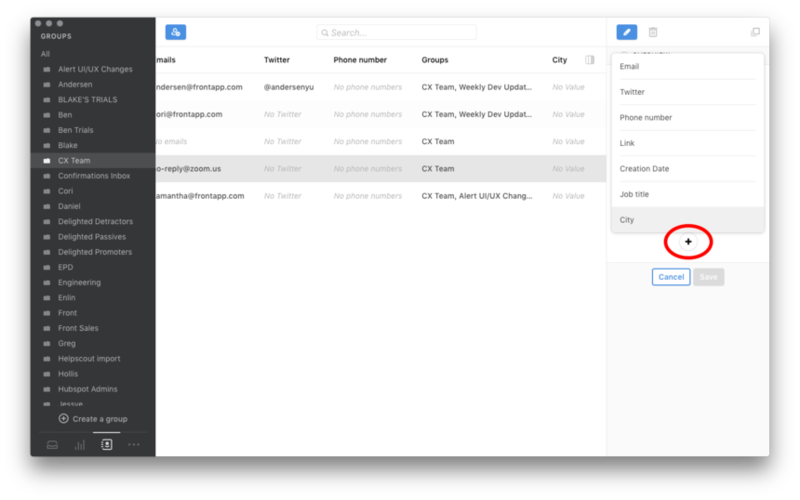 Front allows you to add more details to your contacts, such as job title or NPS score. 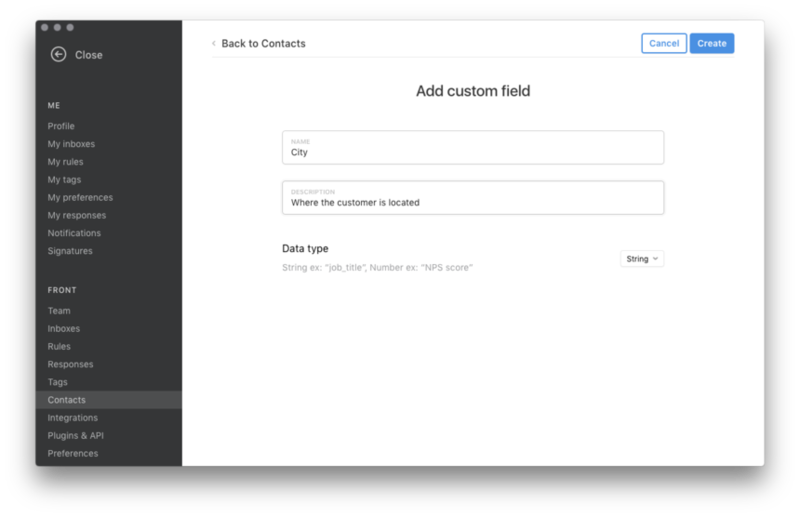 Custom fields must be created manually, and can be updated via our API. Go into your Settings and select Contacts. Click Add a custom field. 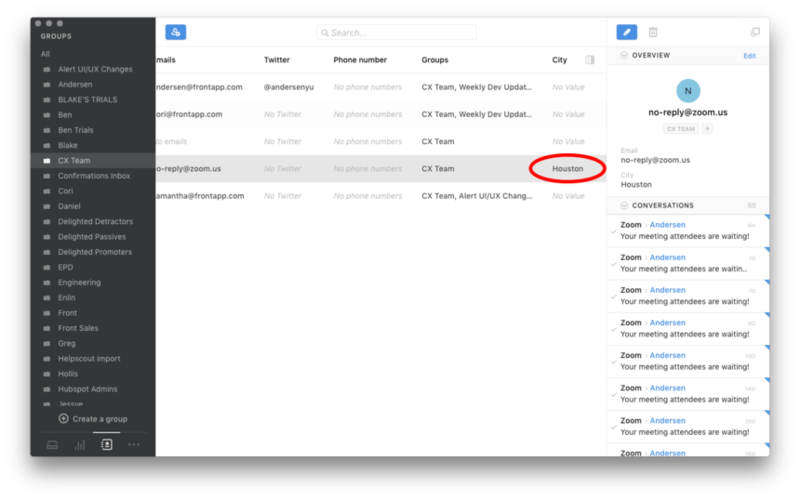 Now, go into your Contact Manager, and add a column to view your new custom field. Enter the information, and click Save. You will see your new entry in the appropriate column. 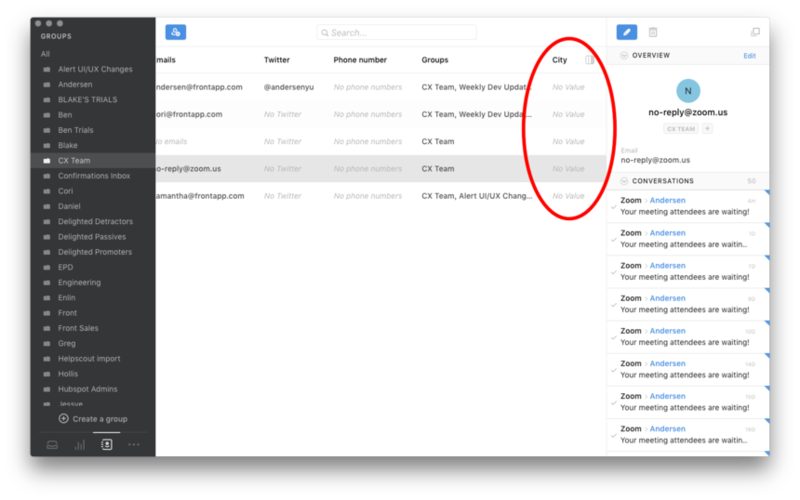 Im in the demo app at the moment so I am a bit limited - Custom fields can you have drop downs with options? The way you have named things to a non geek confuses me a bit. Stephen Martin You should have all access to custom fields on a trial. Can you clarify what you mean by drop-downs with options? We want to recommend you to a client but they want to use you as a very basic CRM to keep everything in the same place (deal tracking is via Trello) but they need to be able to group contacts as Advisers / Suppliers / Providers and have a few different custom fields where they can drop down a list on a contact and select an option. Is that possible? Stephen Martin You can create Contact Groups for Advisors, Suppliers, and Providers. From there, you can create a custom field for zip code (for example). I don't understand your question. When you say "select an option" what do you mean? To do what with? 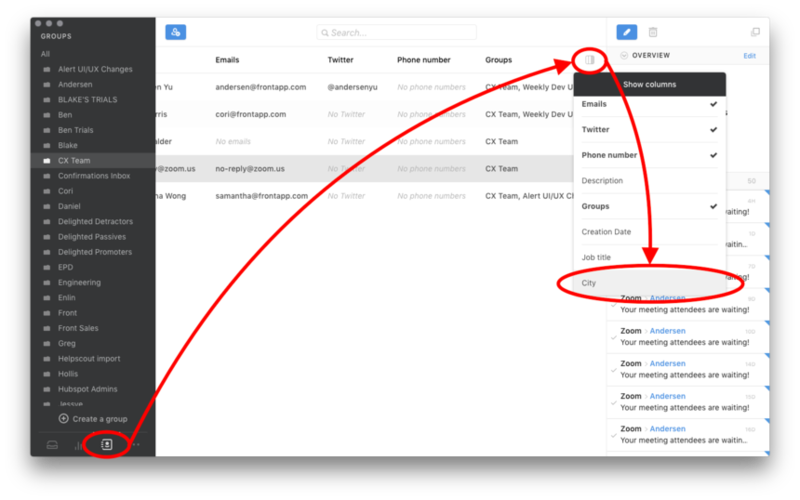 You know how a form has a drop down field with options - Can we create custom fields that have drop down selectable options not just open fields? Stephen Martin I see. No, we don't have a dropdown field at this time. You would have to manually write the zip code.